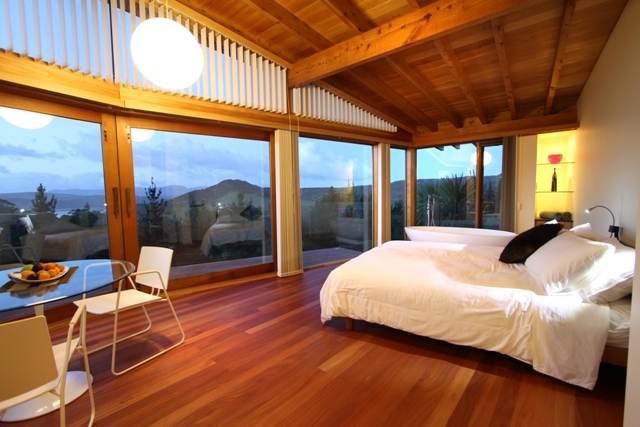 A Luxury Eco B&B with stunning views of the Hokianga Harbour and sand dunes. 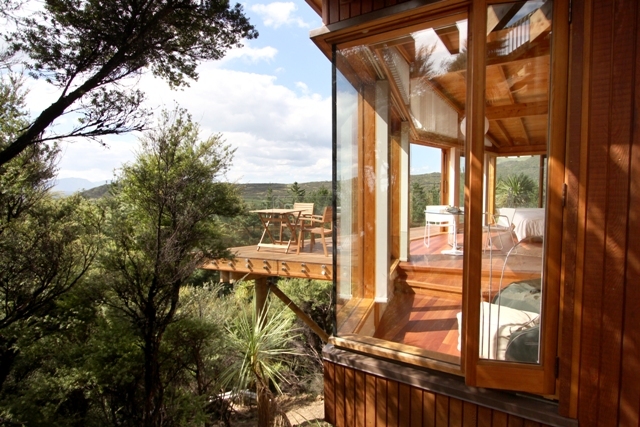 Perched above the native bush, and accommodating only one couple, it is both sophisticated and private. 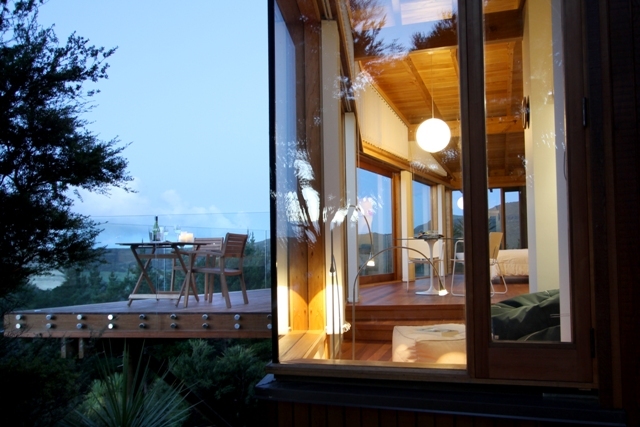 Relax and recharge to a soundtrack of native birdsong , and go to sleep to the sound of the sea and moreporks. A romantic escape to remember. The lodge has been architecturally designed and was inspired by a leaf lying gently on the ground, sitting harmoniously in its environment. We’re proudly off-grid, producing our own solar electricity and solar hot water. 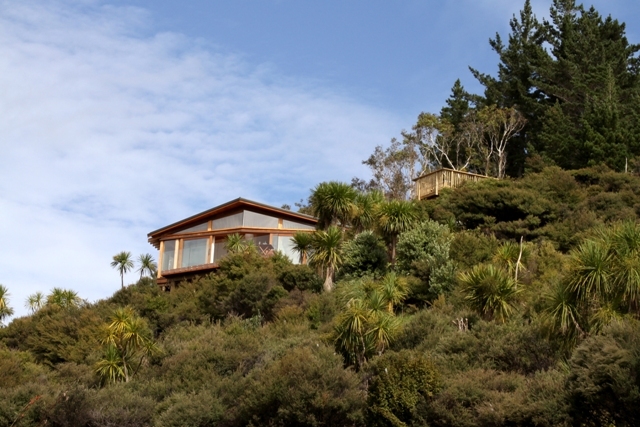 The one hectare of native bush, maturing orchards, pasture and gardens is managed organically. Delicious breakfasts are prepared using organic home-grown or local produce wherever possible. Dinner available on request. 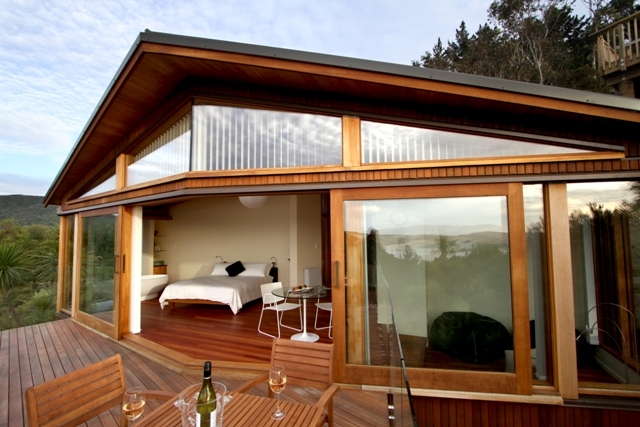 Facilities: Luxury king-size lodge with romantic bath and en-suite. Tea and coffee making facilities, fridge, CD player/ipod dock, internet. Personalised tours and hosted activities available.